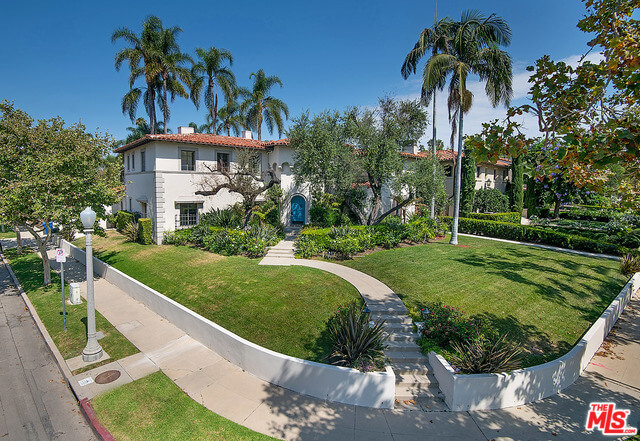 On the corner of McCadden Ave and First St, a European style villa is up for lease! 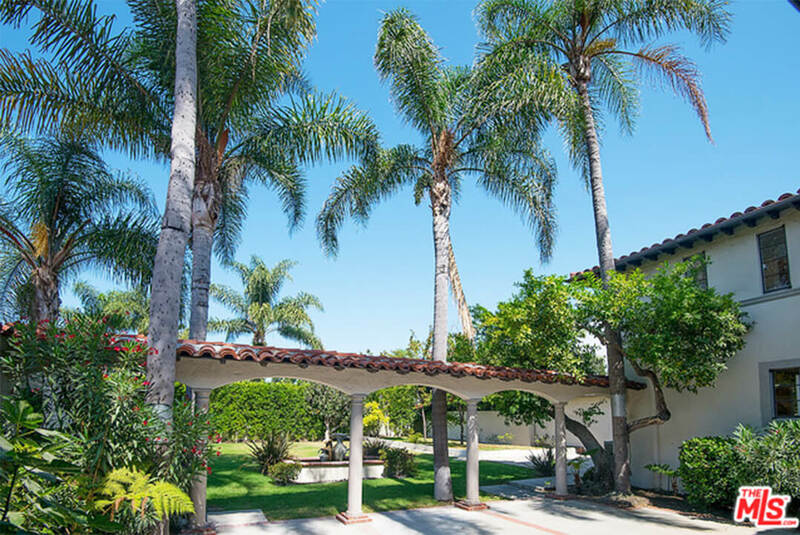 Spacious and glamorous both in the interior and exterior space, this property is the perfect candidate for the vacation vibe lifestyle in the heart of Los Angeles. Luscious greenery surround the unique curvature of the property and soaring palm trees tower over the two- story villa. The property is 4,733 square feet and is listed for lease for $12,000/mo. The entryway is breathtaking showstopper. 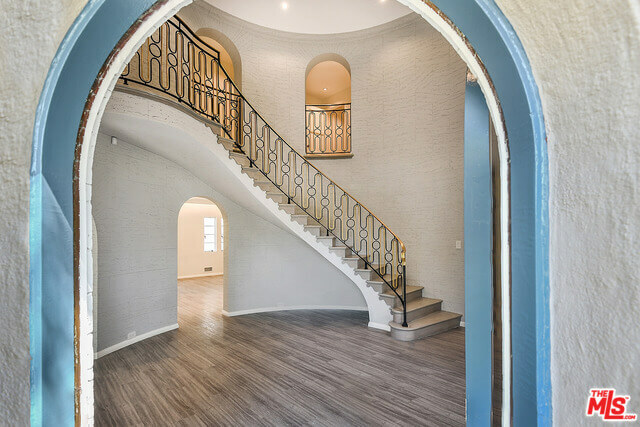 Curved walls, deep arches, and a extravagant spiral staircase are what makes this entrance so charismatic and unique. The grand living room is airy, featuring beautiful coffered ceilings. The adjacent dining room is as immense or even more than the living room as a fireplace is highlighted to warm up the space. Marvelous French doors in the family room open up to backyard. The white kitchen has a plenty of storage space and highlights stainless steel appliances. There is an additional maide suite and a laundry room + powder room donwstiairs. Archways connect each room, adding more depth and personality to the space. The property has 5 bedrooms and 6 bathrooms— plenty of space for the whole family and guests! 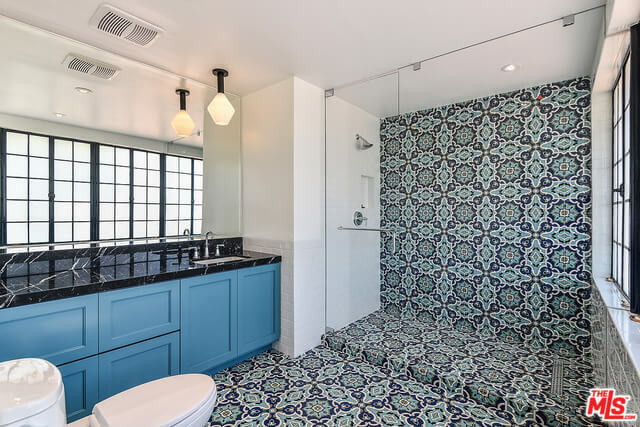 Four bedrooms have en-suite bathrooms, and one with a brand new designer bath, styled with colorful blue tones. The house features character hardwood floors + crown molding, and necessary accommodations like AC central. Above all, nothing beats the paradise in the backyard! You would never want to leave the backyard, sitting under the soaring palm trees on the grassy lawn as you wait for your hotdog to cook on concrete patio area. At The Bienstock Group, we love providing potential luxurious properties for our clients to best fit their needs. Call this beautiful place your home now! We offer luxury houses for rent in Los Angeles including Hancock Park, Larchmont Village and Beverlywood.